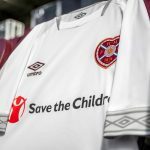 This is the new Hearts away kit 2016/17, Heart of Midlothian’s new alternate strip for the upcoming Scottish Premiership season. 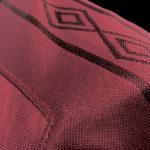 Made by Puma, the new change top pays homage to the 5th Earl of Rosebery, a keen patron of football who was also President of the Scottish Football Association. The Earl’s racing colours of primrose and pink were used by the Scottish national side nine times during the late 19th and early 20th century and were famously worn when they beat England 4-1 in 1900. Hearts will have a primrose yellow and pink strip on their travels this season, featuring horizontal stripes on the front. The back will be solid yellow, and the shorts and socks will have the same primrose yellow and pink colours. This entry was posted in SPFL/Scottish Premiership and tagged Puma on July 14, 2016 by Football Kit News. Oh that’s awful. Migraine tablets quick. bunch of ham and eggers this season! The Jam Tarts just became the Rhubarb and Custard Tarts. This looks much better than the national team’s effort to revive these colours a couple of years ago. Did Puma run out of the colour pink for the collar? Why white?? It is quite alarming when you first see it. But I kind of like it.